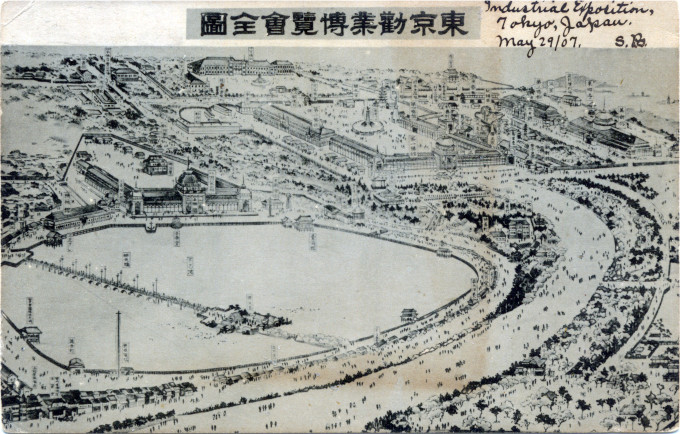 A total of 10 nations participated - including the United States, United Kingdom, Germany, France and Russia. 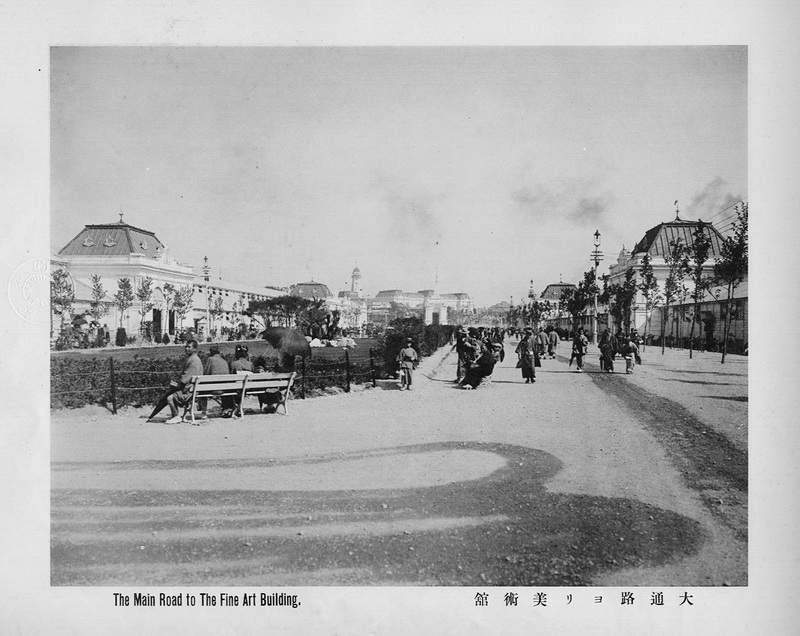 The five-month fair was attended by over four million visitors. The site is now Tennoji Park, containing the Osaka City Museum of Fine Arts and the Tennoji Zoo. 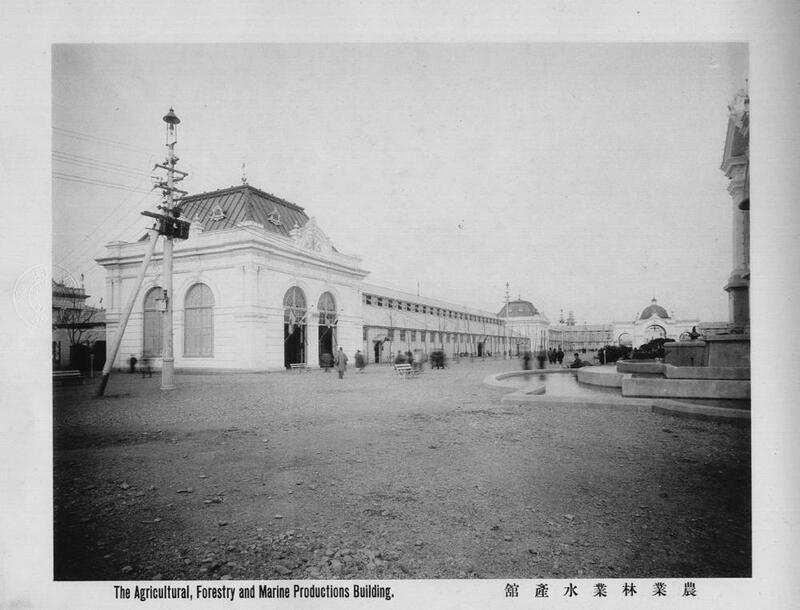 This was the final in a series of great national industrial exhibitions to be held in Japan and the only one in which foreign nations were invited to take part. 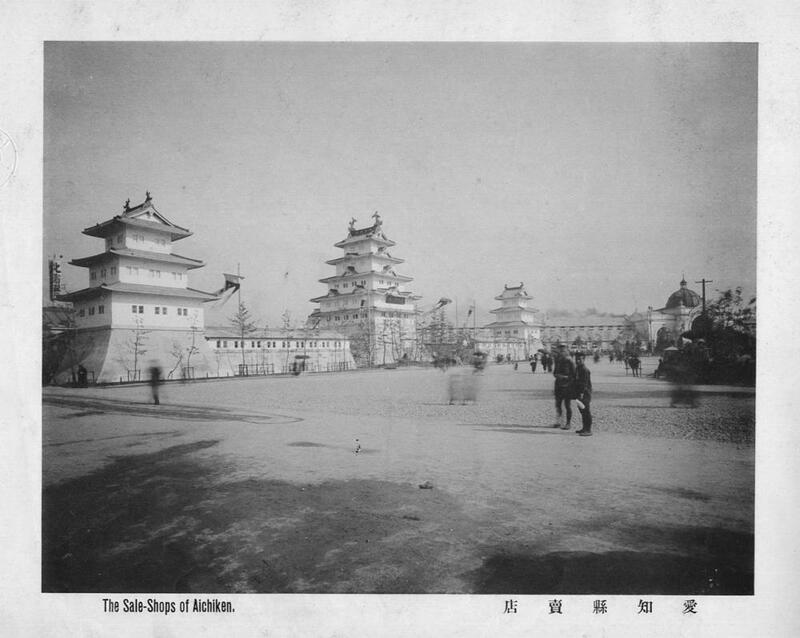 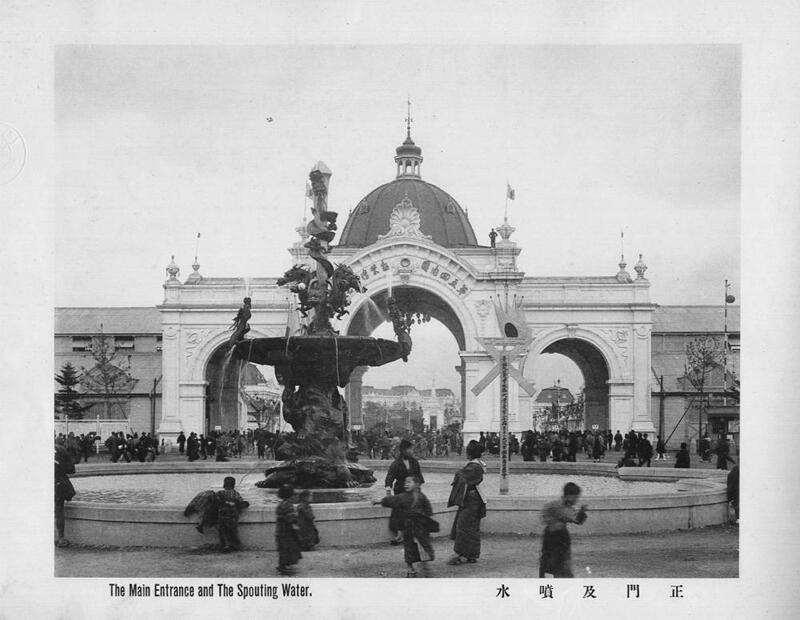 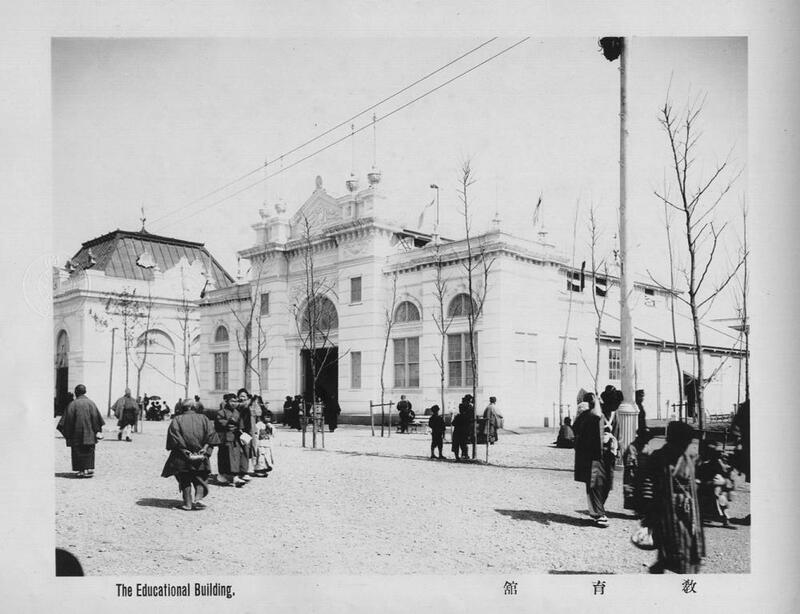 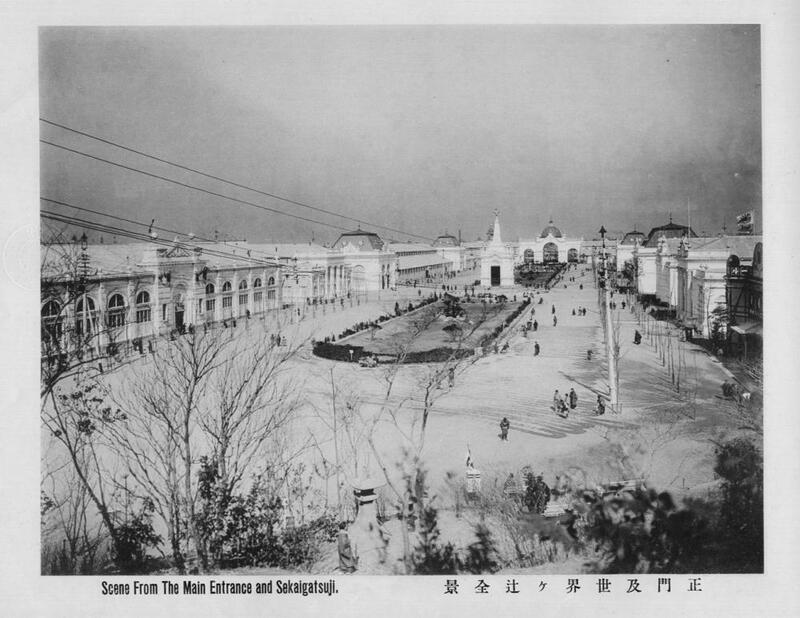 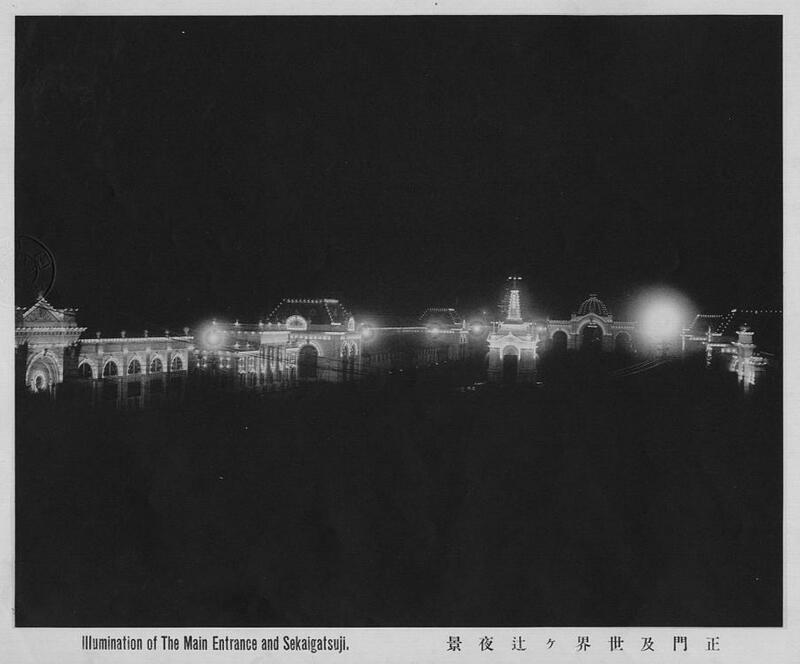 A sixth exposition was scheduled for 1907, with suggestions that it be an international exposition, but was eventually cancelled due to financial difficulties following the 1904-05 Russo-Japanese War. 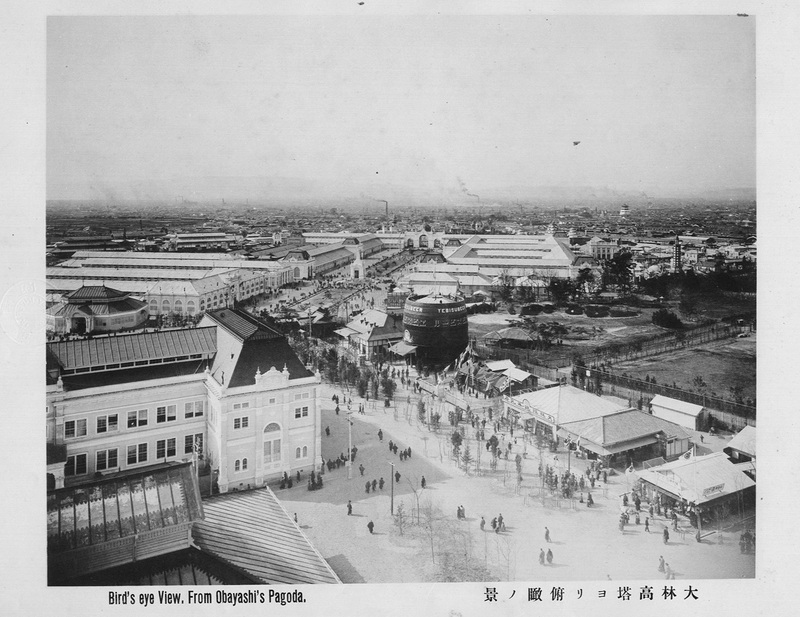 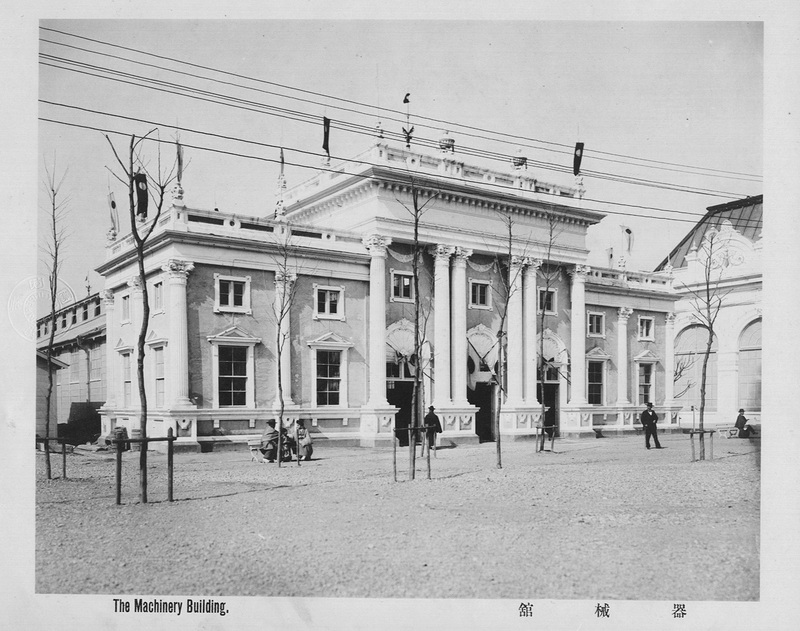 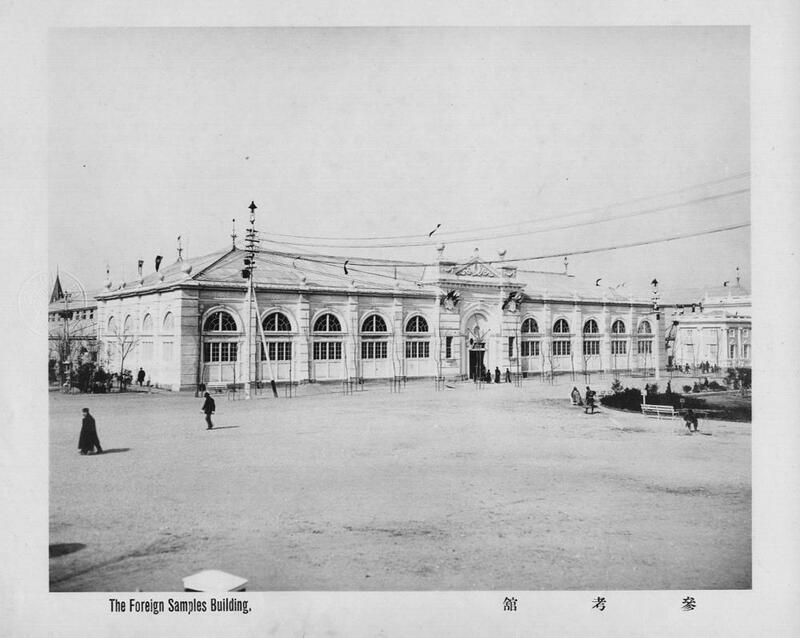 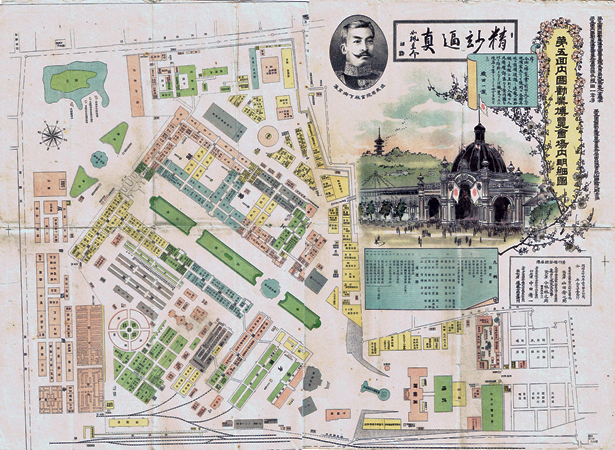 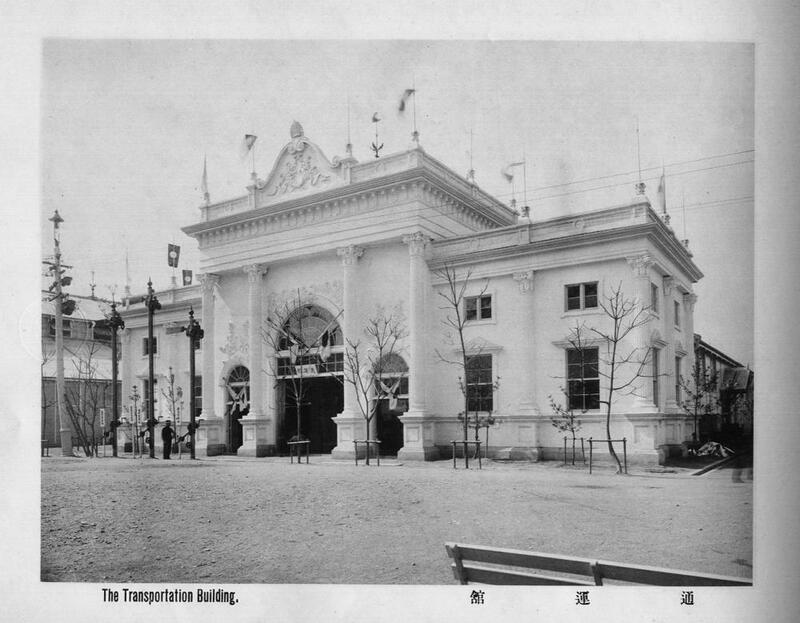 Instead, Tokyo hosted the Meiji Industrial Exhibition in 1907, an exclusively national enterprise, on an even larger scale than that of the 1903 Osaka event. 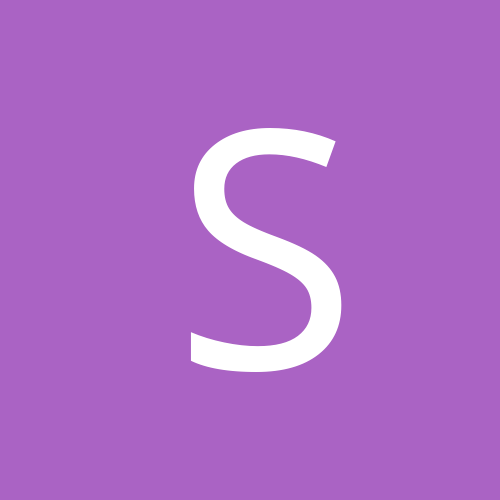 Thanks for the posts. 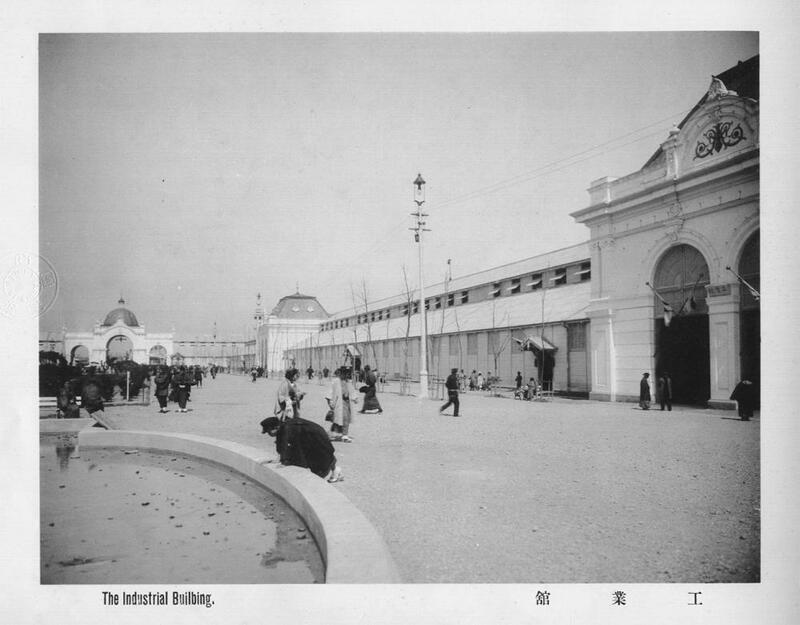 I really not knowledgeable about the architecture, but except for the sales-shops it says "Victorian English" to me. 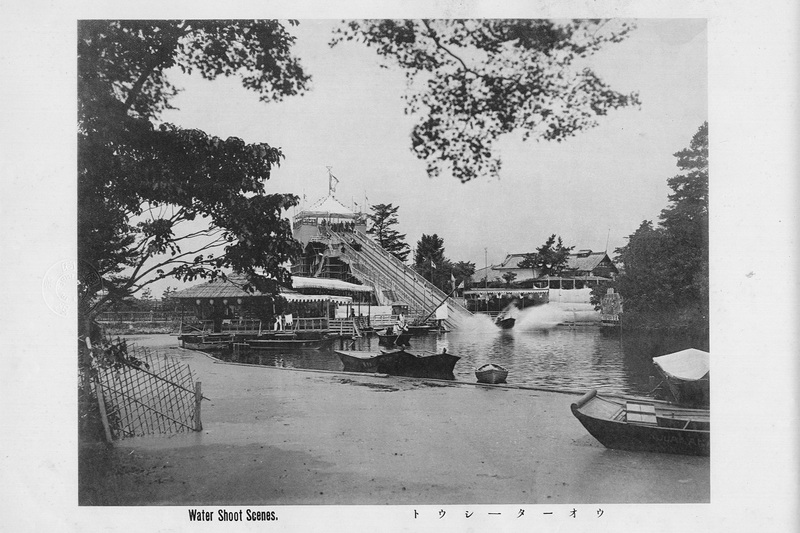 I was surprised by the water chutes, as the only others I had seen were at Riverview Park in Chicago. Actually many exhibitions and World's Fairs had the "Shoot the Chutes" ride....it was a very popular attraction at turn-of-the-century fairs and amusement parks.